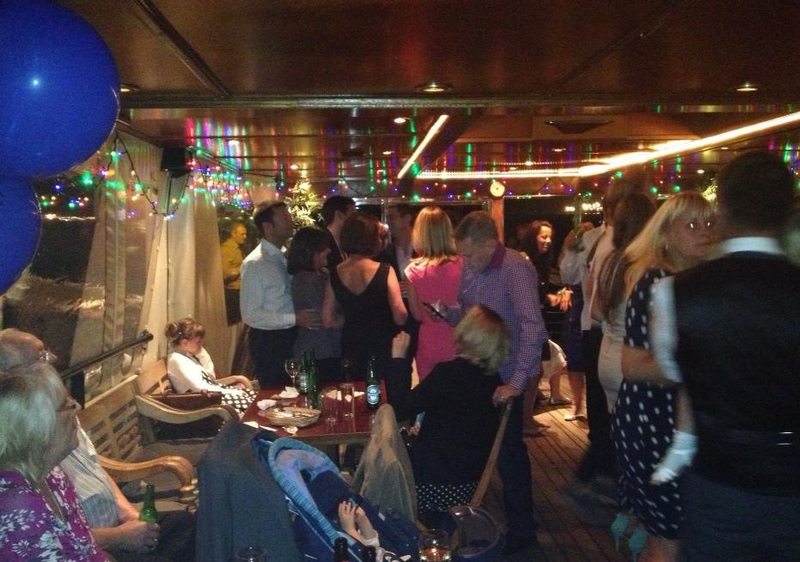 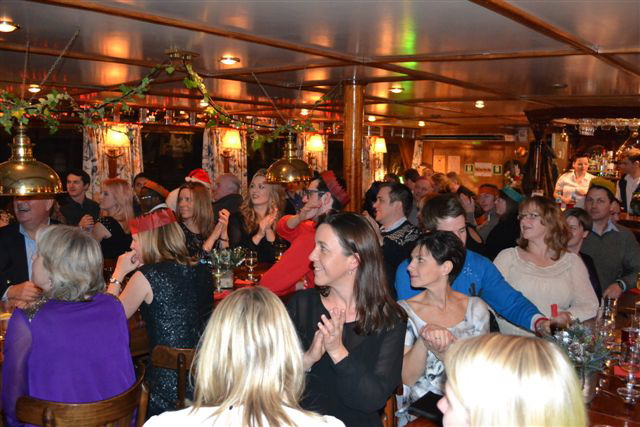 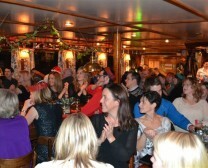 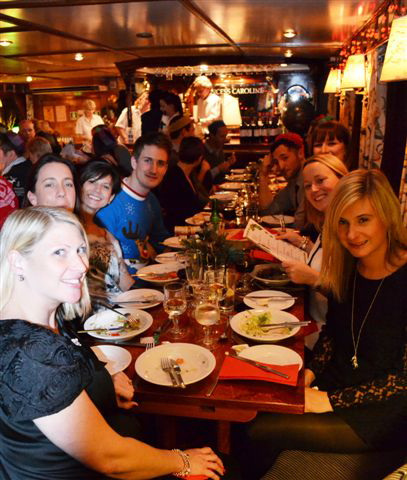 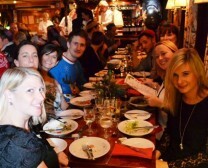 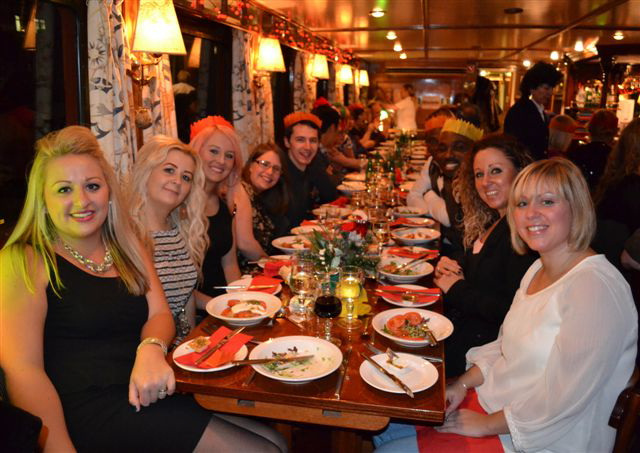 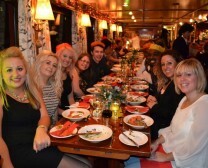 Book our popular public Christmas dinner and dance cruises today! 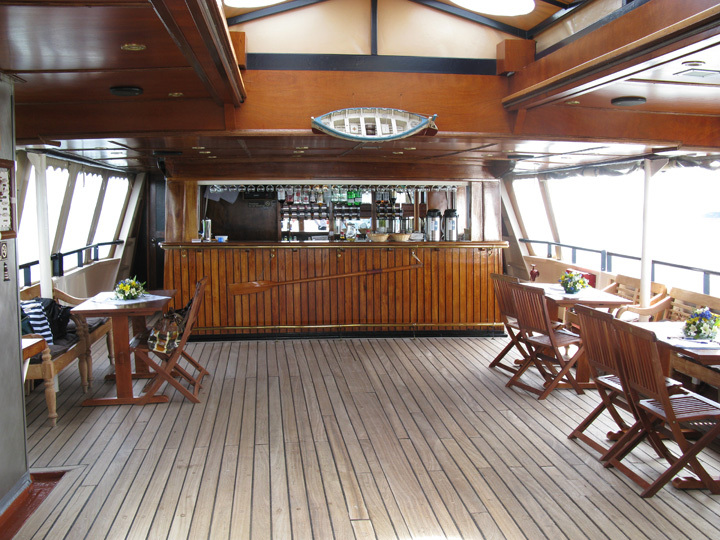 The mixed ambiance of soft wood tones blended with the nautical essence is the perfect setting. 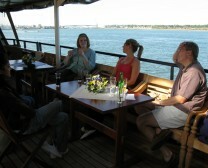 There are a wide variety of destinations we can choose to sail to. 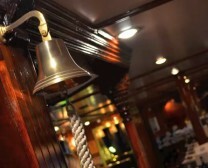 Wood, brass, light and ambience. 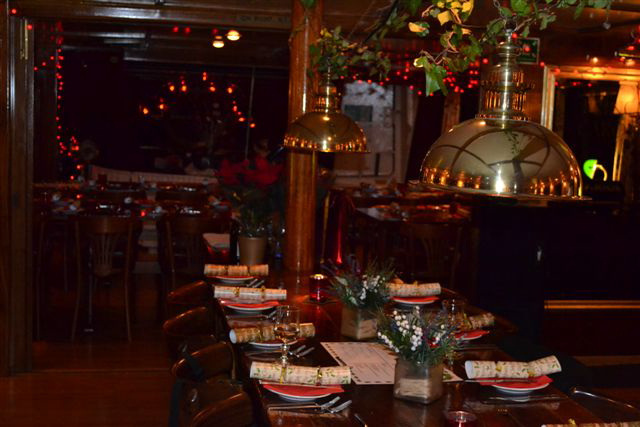 The perfect atmosphere for a celebration. 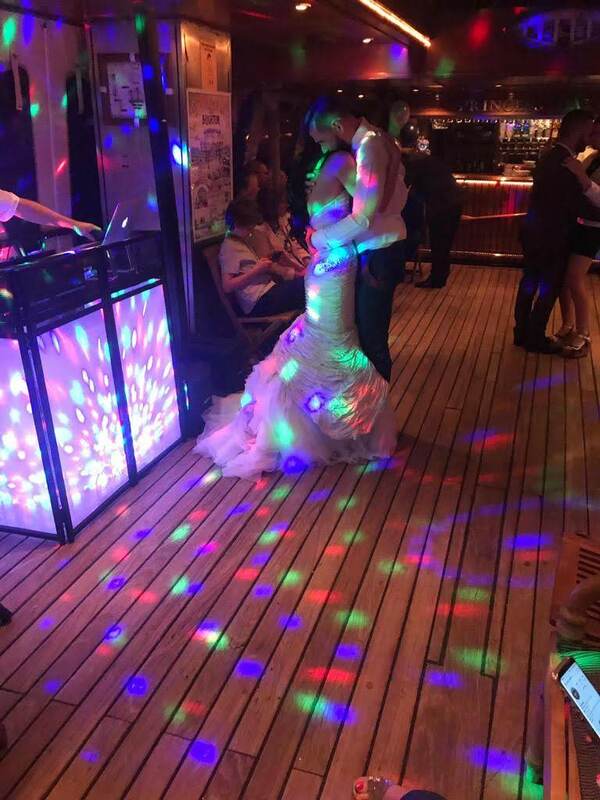 A uniquely romantic venue for your Wedding Reception. 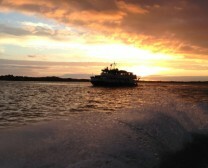 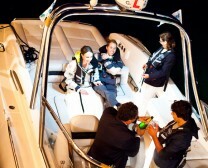 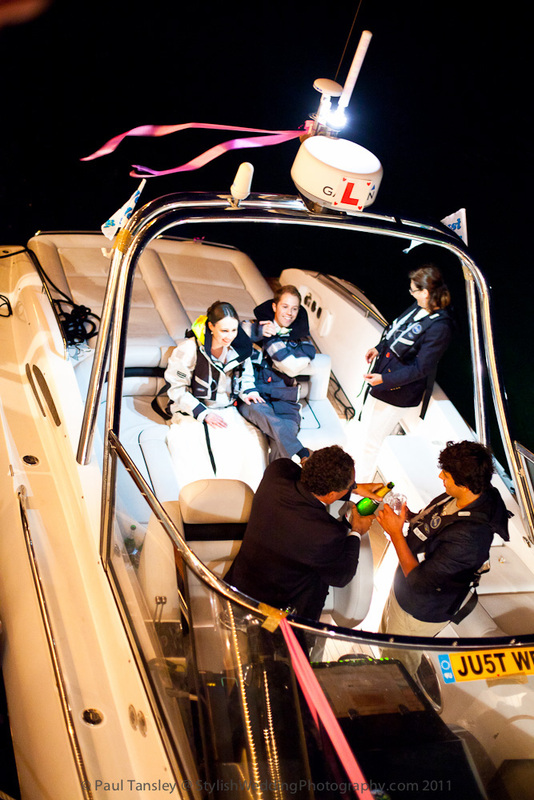 Speed boats are a favourite from our corporate events package. 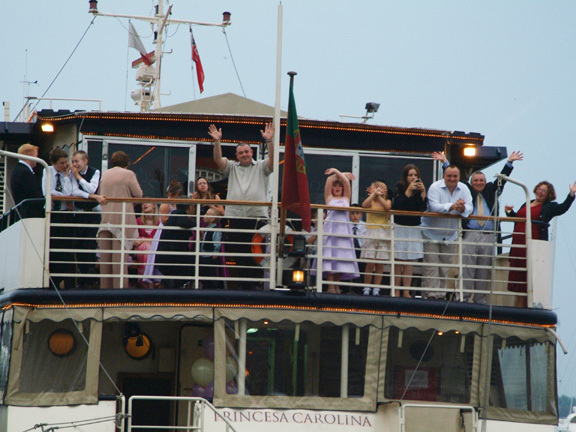 2018 is the perfect time to book your trip, your jolly, your jaunt or event on board the Princess Caroline MS. We have newer menus to suit any budget and are always willing to work with you to meet your budget. 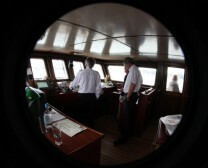 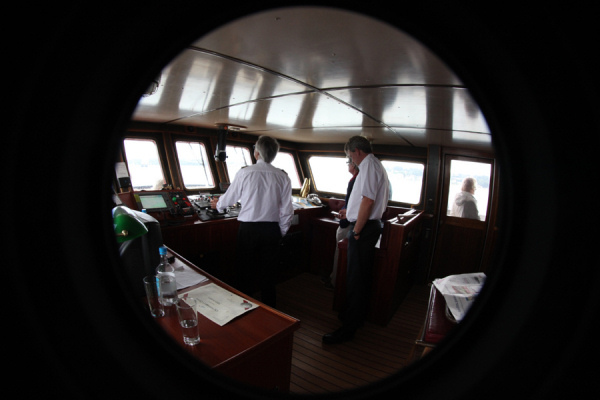 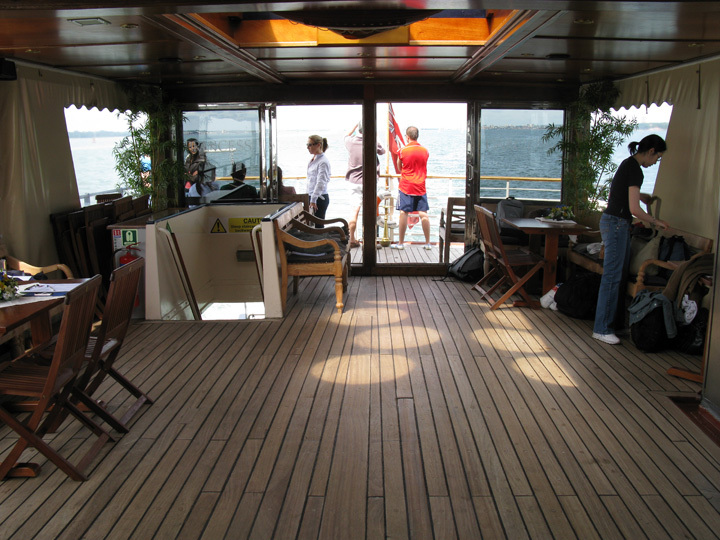 Why not come aboard and try us out with your office, friends or family and see ‘just what we talk about’. 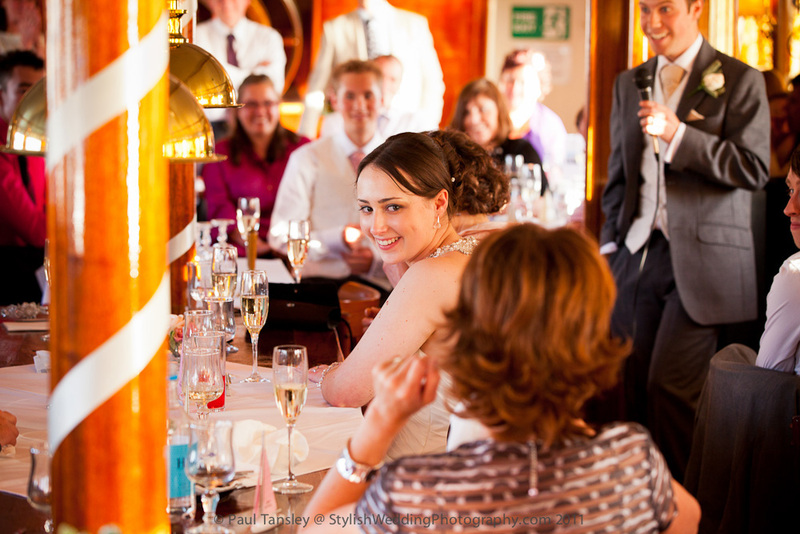 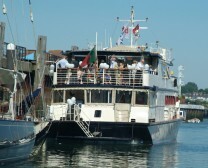 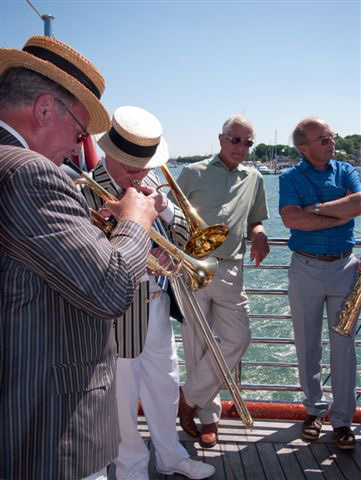 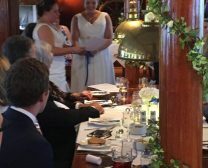 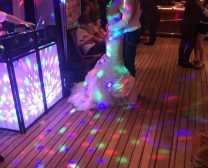 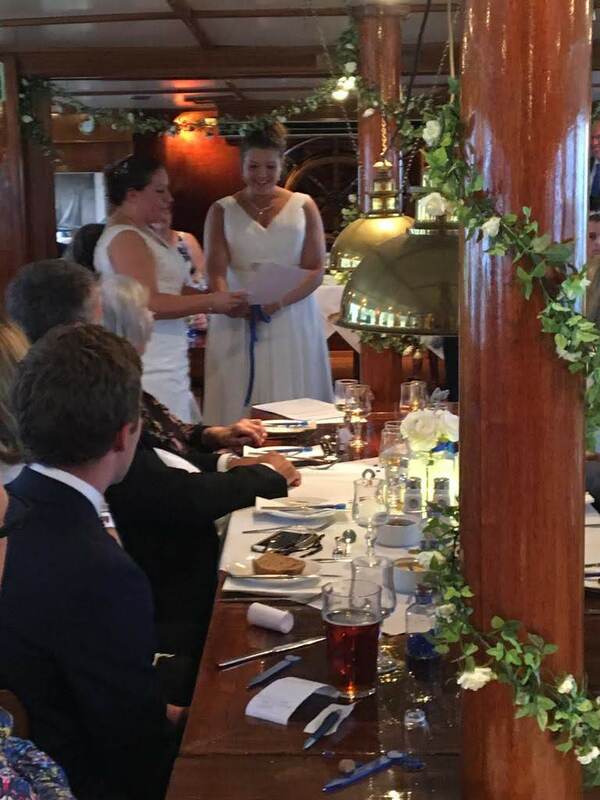 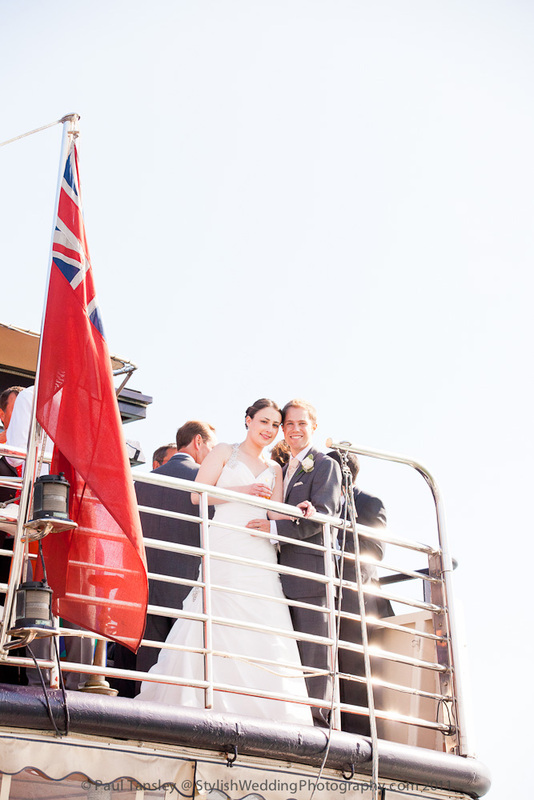 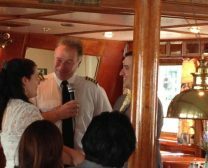 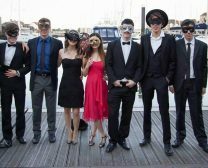 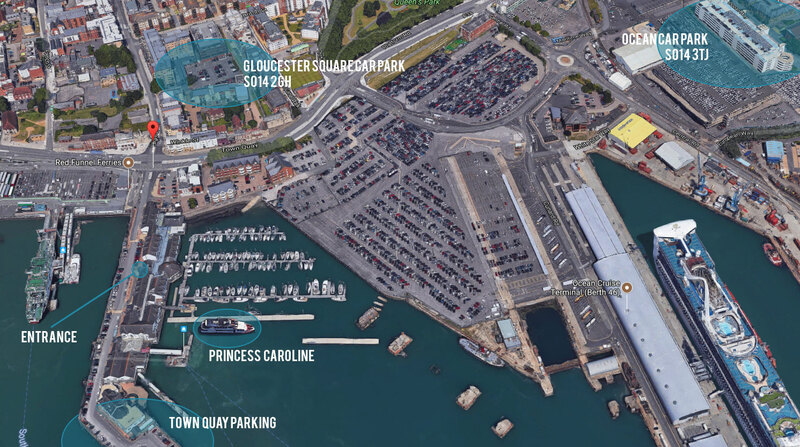 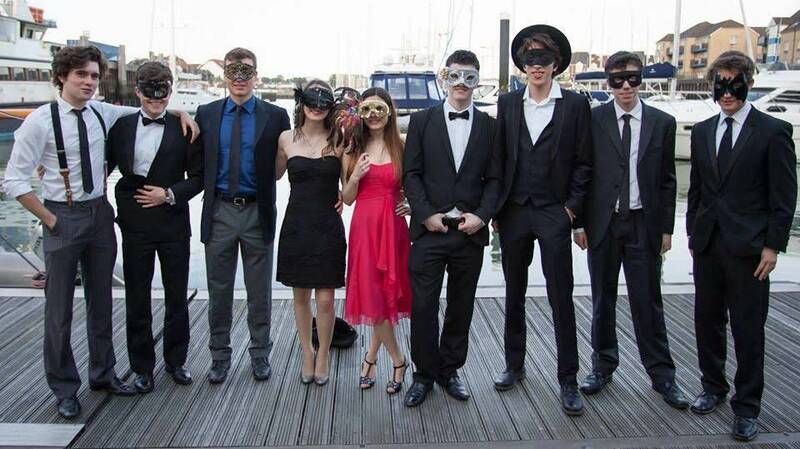 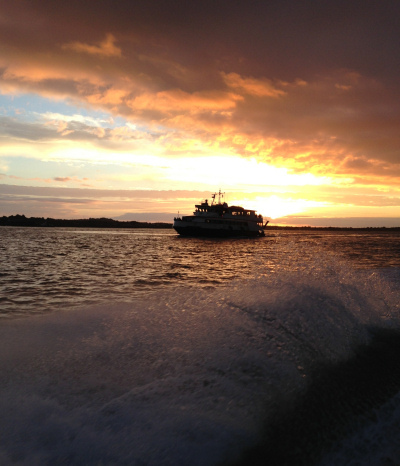 Based in Southampton’s Town Quay the Princess Caroline provides a unique venue to celebrate a Special Occasion, Romantic Wedding, Party or Corporate event, plus dinner cruises on the Hamble, Beaulieu river and the Solent Hampshire, Isle of wight and Dorset. 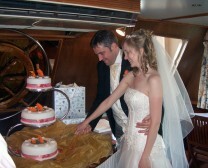 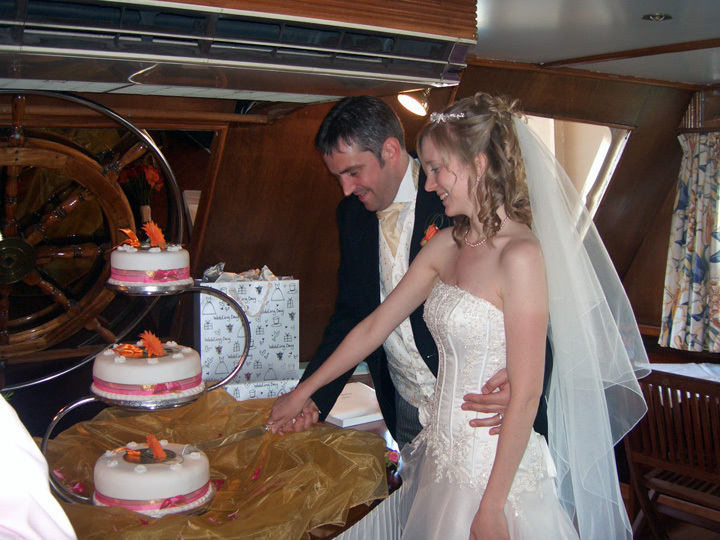 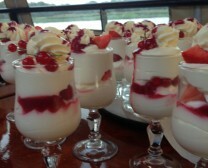 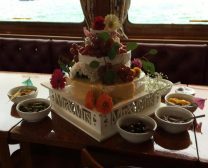 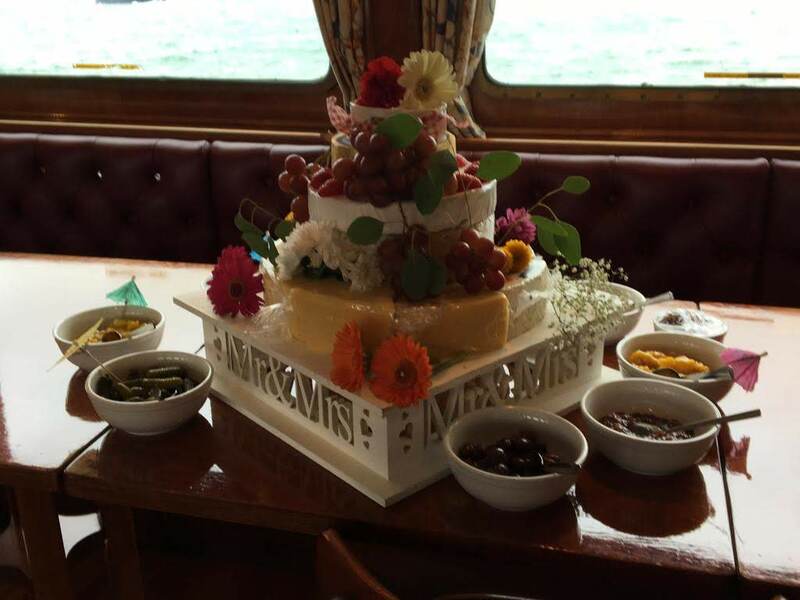 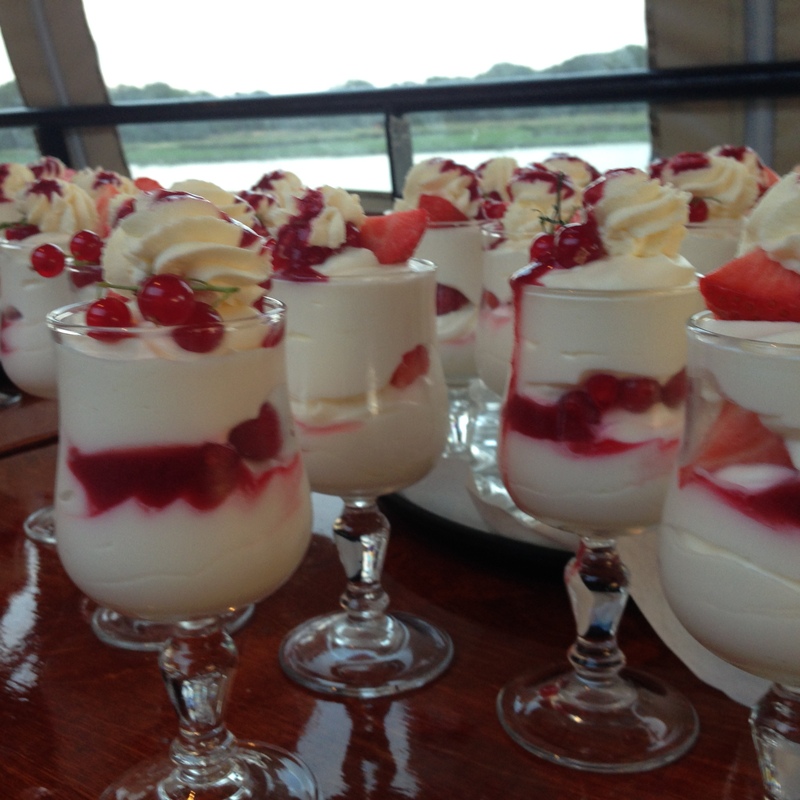 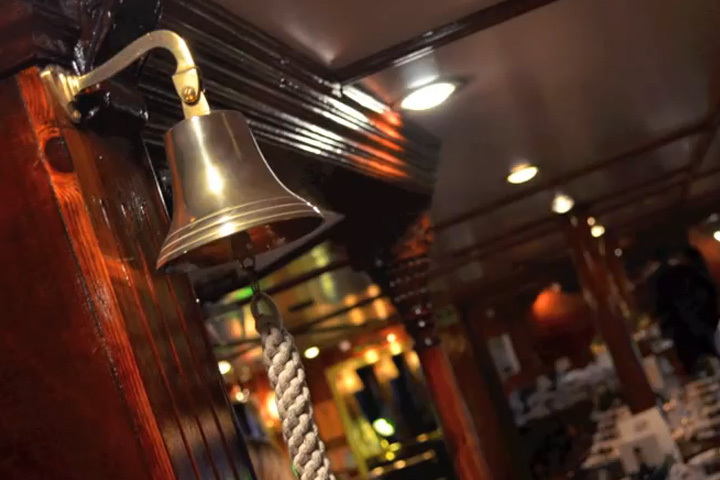 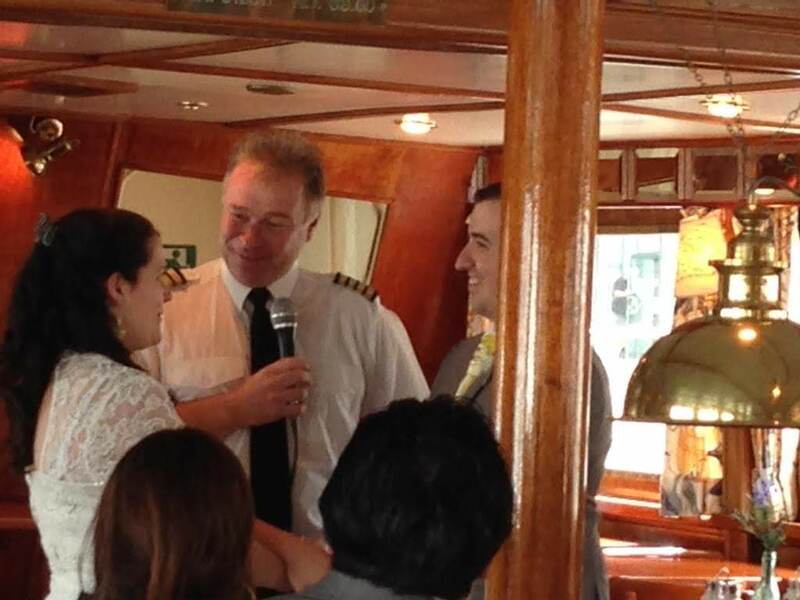 Our experience together with our fully equipped galley allow us to cater for all occasions with up to 120 guests. 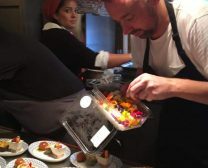 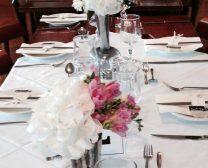 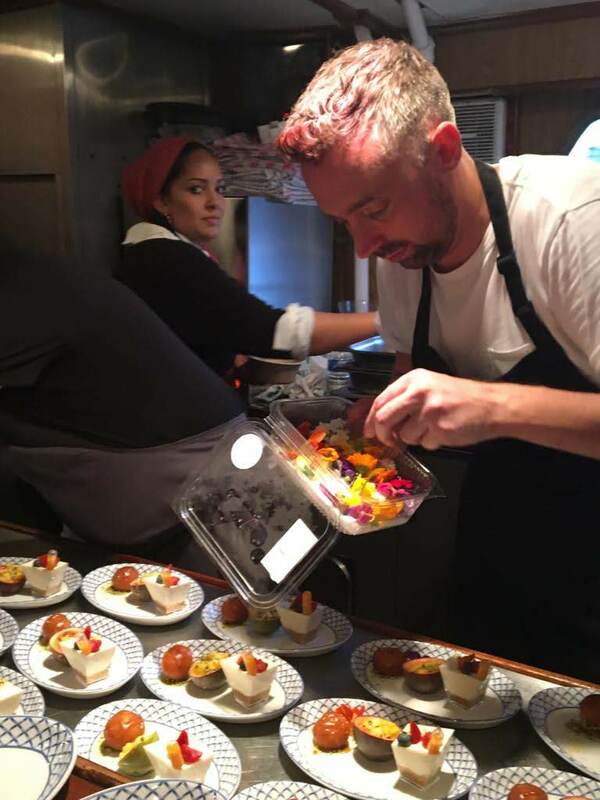 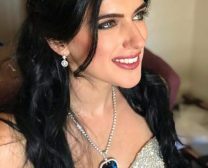 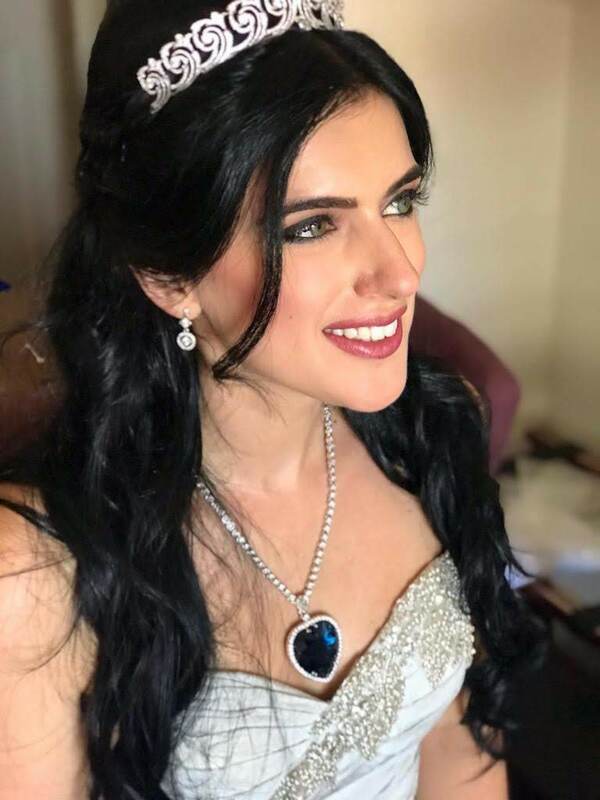 Staff and crew are trained to provide the highest standards of quality and service and all involved will work hard to ensure the success of your special event. 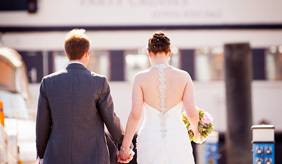 We invite you to browse our website further or get in touch to arrange a visit. 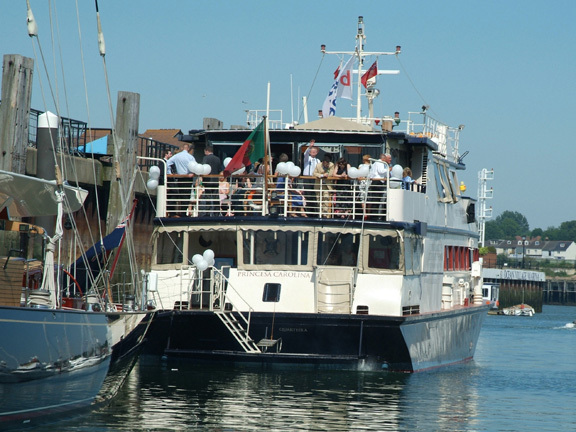 Click the image above to see complete travel information. 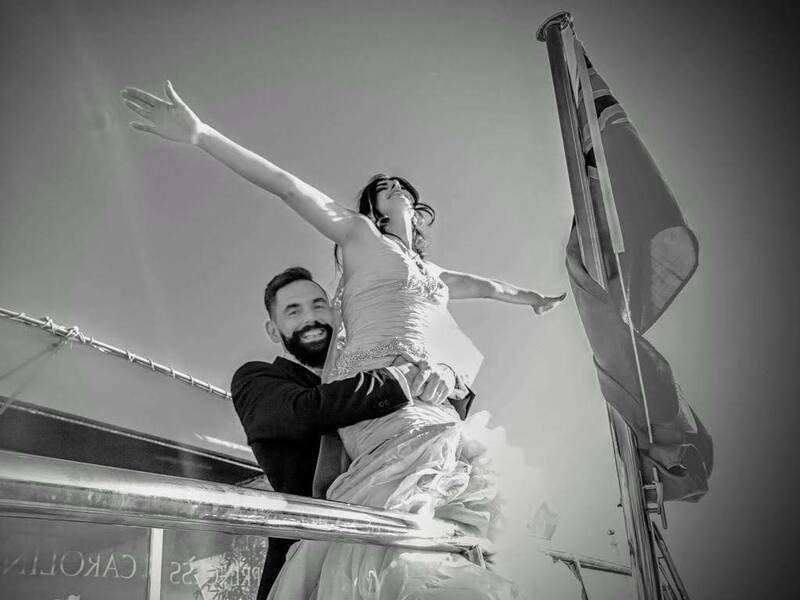 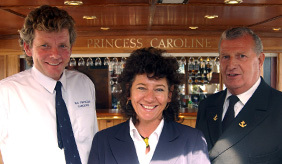 Jeroen (Jay) & Andrea (Andi) Van Den Hoek discovered the Princess Caroline in Portugal operating as a rather sad floating restaurant lying in Vilamoura, in the Algarve. 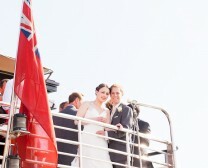 She really was in serious need of some loving care & attention & Jay was smitten immediately. 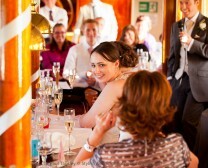 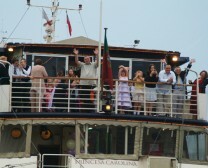 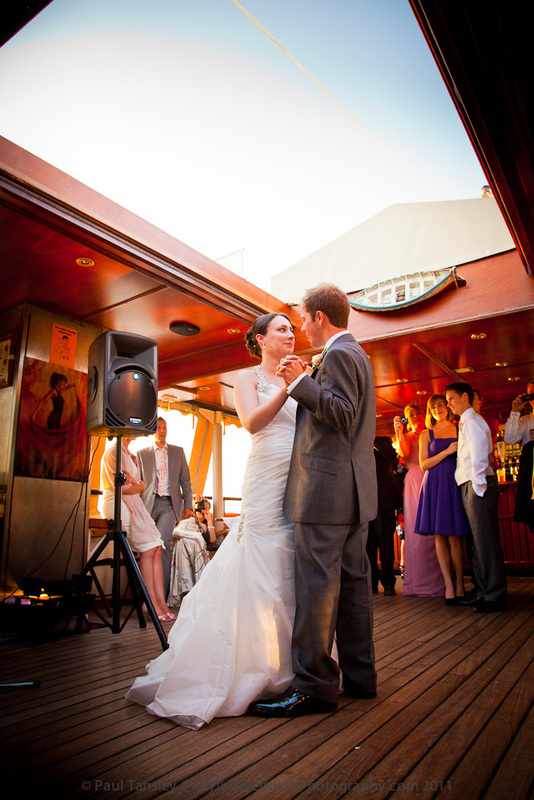 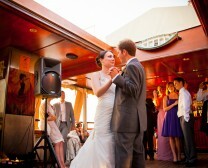 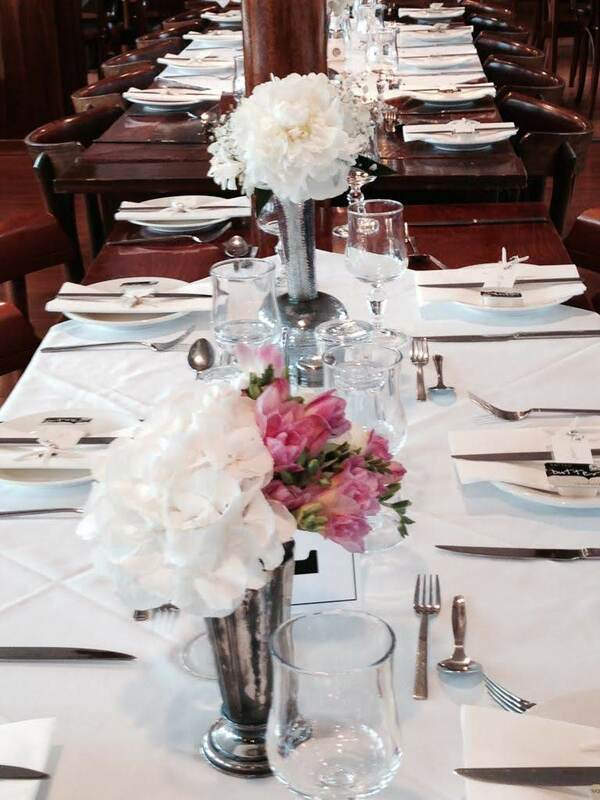 The Princess Caroline is the most romantic venue for a wedding. 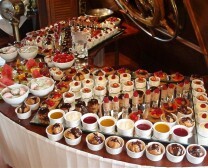 You will feel special & different from all the rest. 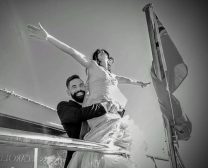 Imagine the stunning photos taken with the flag blowing gently , the sailing boats in the background in contrast with the warm glow of the sunset. 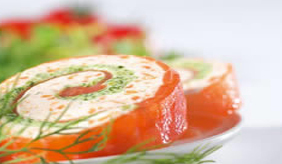 Roulade of Smoked Fish – Smoked Salmon & Gravadlax with Ricotta Cheese & Dill with a refreshing Mustard Sauce. 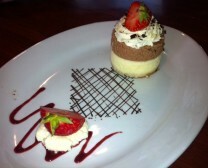 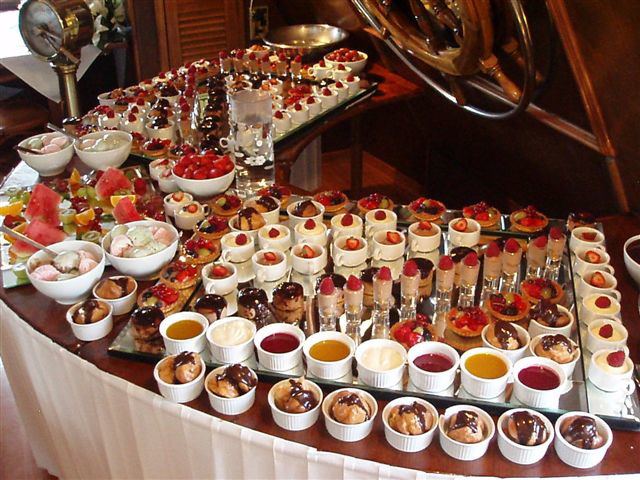 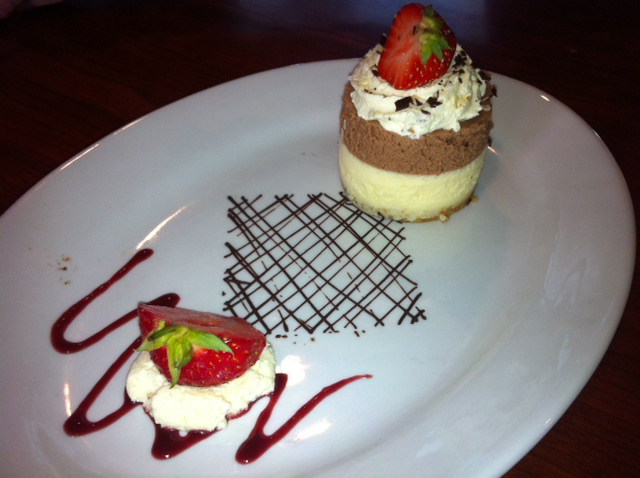 Our grand dessert laid out on the Captain’s table. 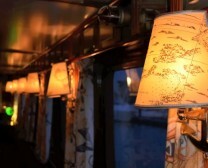 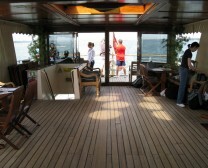 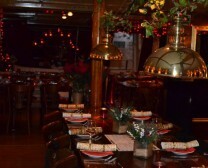 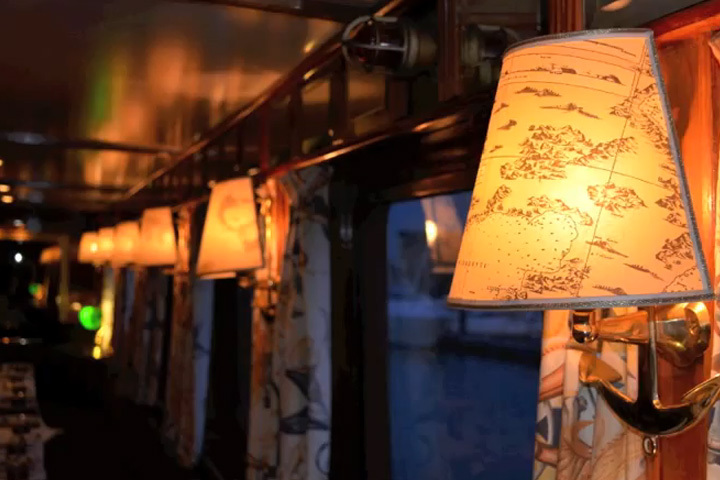 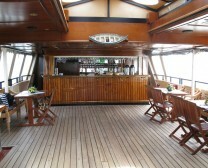 An atmospheric photo of the Middle Deck Restaurant from the bar. 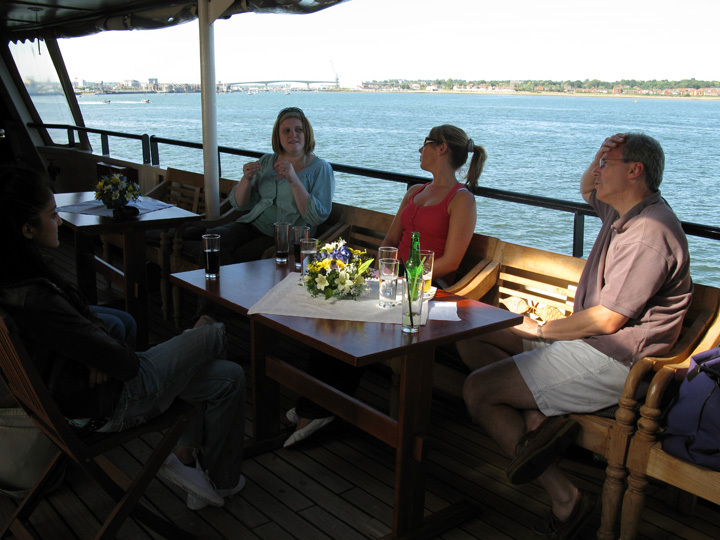 A chilled out moment in the warm shade during a corporate event. 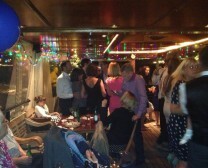 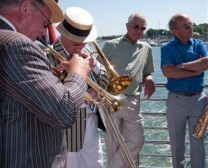 Everyone on board for a party cruise down the Solent.